Ski Zermatt offers quality self-catered apartments in great locations close to the ski lifts, shops and the centre of the village. A wealth of experience & an attention to detail, gourmet food and specialist local knowledge make Ski Zermatt your perfect ski holiday choice. Our exceptional luxury chalets provide dedicated 7-Star service, Michelin cuisine and breathtaking views of the mountains. We’ll cater to your every need – all you need to do is relax and enjoy unforgettable moments. Our high quality self catered apartments are centrally located, close to all amenities and ski lifts. An attention to detail, specialist local knowledge make Ski Zermatt your perfect ski holiday choice. We can take care of all your rental needs – we’ll make sure that your skis are waiting for you & your lift passes are ready so you can get straight onto the slopes. Self-catered but fancy a night off? We have hand picked chefs who can prepare an incredible dinner so you can sit back and relax with friends and family. Whether it’s a helicopter trip up to untouched fresh powder fields or a shopping trip to Zurich’s famous Bahnhofstrasse, we can organise it. We have access to experienced & trusted nannies and childminders to take care of the kids whether you take some time out on the slopes or to enjoy Zermatt’s nightlife. If you need a Doctor, physiotherapy or just fancy a relaxing massage, or active pilates or yoga session, we’ll make the arrangements and get you booked in no time. We’re happy to make arrangements for your corporate event, whether it be an business conference, team building or rewards and incentive. Ski Zermatt is part of the award winning Elysian Collection and our team are all highly trained to the same exacting standards. Savannah is from the UK and grew up in Sweden, America, Korea and China. She has since worked in Paris, Jordan, Kuwait, Dubai, China, Italy and Switzerland. Skiing since the age of 2 she has skied in America, Canada, the Alps, Sweden and Norway. She loves Zermatt mountain life and is a passionate skier. She first worked for Elysian in 2014. Savannah has a Business Degree and over 17 years international experience managing high profile VIP events, private luxury castles, palaces, chalets, houses, rentals and enjoys working with everyone from around the world including private clients, Royalty, UHNW clients, VIP’s, artists and celebrities to ensure all their specific needs are met. She will liaise between our guests and our staff on all matters to create your perfect stay. Her exceptional attention to detail and passion for excellence means she takes pride and satisfaction in making sure all her guests are delighted with their visit and long to return year after year. She is excited to lead Elysian Collection’s team into its 10th year of business in 2019 and hopes to welcome you to Zermatt very soon. 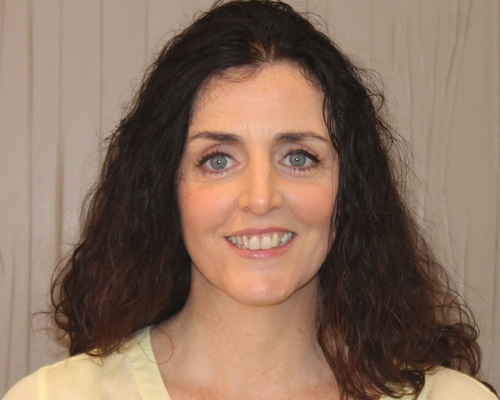 Joanne Healy is based in our Dublin office. She first came to Zermatt in 2008 and fell in love with the mountains and scenery. Joanne looks after the Sales and Marketing. She is involved in sourcing and establishing new agents across the globe and welcomes meetings and communications from external companies and potential partners. Born and raised in Glasgow, Eilidh was living and working in London when the opportunity arose to work in Zermatt for a winter season…nine years later Eilidh is well-established in Zermatt and the luxury chalet market, having previously worked for a number of the top luxury chalet and apartment rental providers in the village. Specialising in Operations and Concierge, her organisational skills, Zermatt knowledge and rigorous attention to detail are well-known; from the first contact with guests through to their successful stay and safe departure. Eilidh takes great pride and satisfaction in ensuring guests have the perfect Zermatt experience and return year after year for more. Zermatt is famous for many things, not least the magnificent Matterhorn mountain, which dominates the spectacular view. This idyllic town of cobbled streets, wooden huts, chocolate shops and horse drawn sleighs has been attracting visitors for decades. There are 313km of pistes, and the world’s highest glacial palace at 3883m. Over 40 bars and 5 nightclubs help create a buzzing après scene and vibrant nightlife. Car free Zermatt offers clean air, alpine scenery, fashion boutiques, trendy bars, traditional food and contemporary design. This eclectic mix between old world Swiss farming town and modern haven for artists, poets and musicians promises not just a ski holiday, but a unique experience. If you would prefer to email us, please use the form below. We have a collection of Self Catered Chalets accommodating 6 guests from 3,500chf – 4,500chf per week. These quality apartments are in great locations close to the ski lifts and the centre of the village. We have a collection of Luxury Catered Chalets accommodating between 10 and 14 guests from 25,000chf – 55,000chf per week. Michelin Star quality cuisine truly sets our chalets apart from other luxury providers, and is absolutely certain to impress. Professionally trained, discrete household staff cater to your every need. Relax and enjoy unforgettable moments with family & friends. Ski Zermatt is run by a team of long-experienced hospitality professionals, living in Zermatt. We know the best restaurants, which ski runs have good snow in the afternoons, and where to get the best hot chocolate. Ask us, and we can organise anything for you. You’re in good hands.